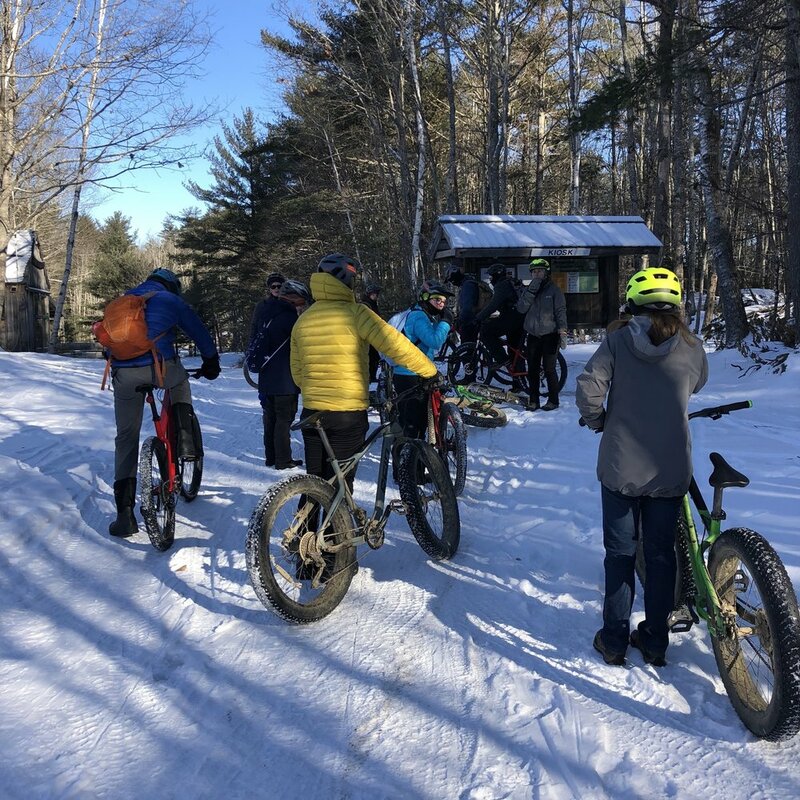 Teens To Trails partnered with Midcoast Conservancy to host the 2019 Winter Skills Weekend at Hidden Valley Nature Center on January 12th and 13th. Forty students from seven different high school outing clubs around Maine gathered in freezing weather to learn and test their winter skills. Four of these clubs decided to stay the night and tested out their camping knowledge by keeping warm in sub zero temperatures. All fingers and toes were accounted for Sunday morning as these groups prepared for their own adventure on 30+ miles of trails. Though teens faced tough conditions, they remained positive and excited for the challenge. Outing Club members tried out cross-country skiing, fat-tire biking, and snow shoeing… many of them for their first time! Students participated in outdoor skills workshops with outdoor professionals. Winter Trip Planning - Led by Nick Parsons, Outdoor Educator and AT Thru-hiker. Thank you to Midocast Conservancy and the AmeriCorps Outdoor Adventure Service Members for making this weekend possible. We can’t wait for next year! Keep an eye out for next year’s dates!